The rice donation will be transported out of Mt Hagen with the support of Oil Search Limited on the Australian Air Force aircraft to Moro where it will be distributed to the affected communities by Oil Search Limited. Trukai Industries Ltd CEO, Mr Greg Worthington- Eyre said the people of Papua New Guinea need urgent support and the company is happy to work with Oil Search to deliver this aid. He explained the rice donation is part of the company’s ongoing community contribution through its Corporate Social Responsibility program. “Our CSR brand TruCare serves to re-emphasise Trukai’s dedication to PNG and we are pleased to show our support as a Papua New Guinean company by giving back to our communities in their time of need,” he said. “We will endeavour to reach out to the affected families and communities. Natural disasters are unavoidable and can cause a lot of damage to food crops, which affects people’s diet. “We send our sympathies and prayers to all those affected by this tragic disaster”. 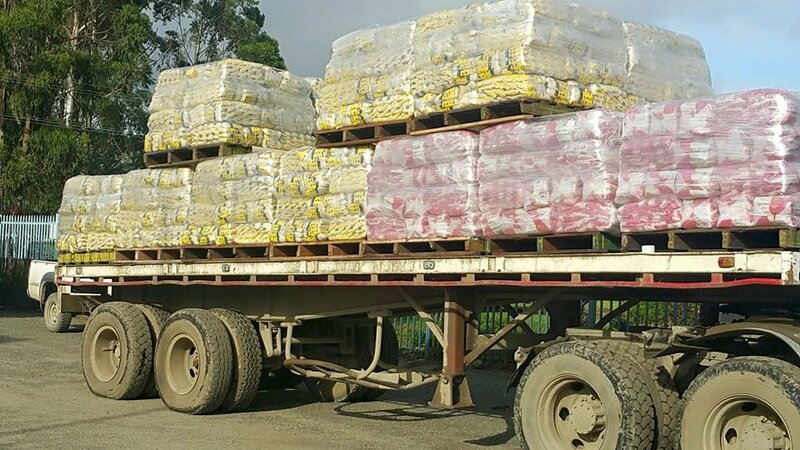 Caption: Rice pallets being loaded onto a truck ready for delivery to the Hagen airport for dispatch to Moro in Southern Highlands.